Spa Three Ten is a boutique salon and medical spa in the heart of Richmond, Virginia. Our team of Licensed Master Aestheticians, Hair Stylists, and Aesthetic Nurse Injectors believe in supporting you in achieving your personal goals for well being and beauty. Every service we perform is technically and scientifically sound, but also personalized for you needs and goals. We provide our clients with a comprehensive treatment plan that includes customized services and pharmaceutical-grade products for skin, hair, nails and lashes. 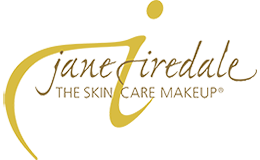 We look forward to helping you craft a plan to enhance and support your beauty and well being routine. Spa Three Ten curates the highest quality hair, skin and nail products available.